The trial voyage of the fixed pitch propeller system for the asphalt tanker of 37,000 DWT of AVIC Dingheng Shipbuilding Co., Ltd. provided by Nanjing High Accurate Marine Equipment Co., Ltd. (Nanjing High Accurate), a subsidiary of NGC Marine Group, was successfully held recently. Nanjing High Accurate received positive recognition from the ship owner and shipyard for the steady operation of shafting and propellers and other successes matched to the ship with follow-up orders placed for the project, which further consolidated the long-term partnership with the shipyard. The asphalt tanker of 37,000 DWT is 180m in length and 30.6m in width with a designed velocity of 14kn. 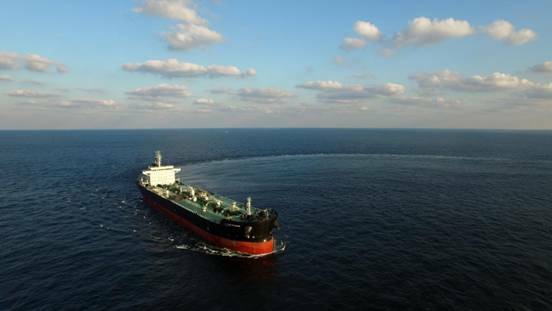 The ship is the world��s largest asphalt tanker with independent cargo hold customized for Sargeant Marine, the world��s largest asphalt supplier. The ship owner has high requirements in terms of fuel economy, velocity and vibration of the ship. Nanjing High Accurate cooperated with domestic research institutions for overall optimization of the propeller system and comprehensive ship type, as well as equipping the propeller with cap fins and energy saving devices. The propeller designed by Nanjing High Accurate passed open water testing, self-propulsion testing, cavitation testing and other series of model experimental verifications with various testing results meeting all design requirements. The velocity in actual trial voyages exceeded the ship owner��s requirements and guaranteed fuel economy, energy conservation and emission reduction. Vibration of the propeller system also met requirements for a stable voyage. The successful trial voyage fully embodies the outstanding hydrodynamic design and baling ability in the realm of fixed pitch propeller system offered by Nanjing High Accurate Marine Equipment Co., Ltd.